If you’re looking for an arrow that’s bad to the bone, look no further than the X-Impact! Constructed from the highest quality materials to ensure it’s the best nano diameter shaft on the market. This shaft is made of 100% High-Mod Carbon, which means it’s Black Eagle Arrows lightest shaft available to date; this allows for more point weight up front, equating to better flight characteristics and long range pin-point accuracy. It’s perfect for any hunter or target shooter looking for the highest quality long-range carbon arrow. 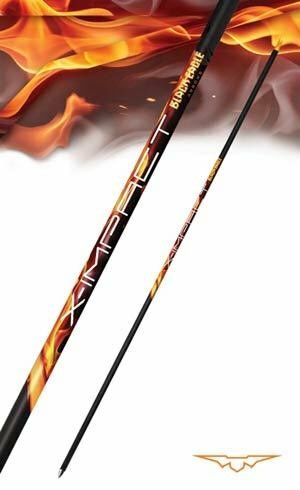 Hot Melt is NOT recommended for use with Black Eagle Arrow Shafts!